Before training, athletes want energy and focus. Then there is a post-workout protein shake. 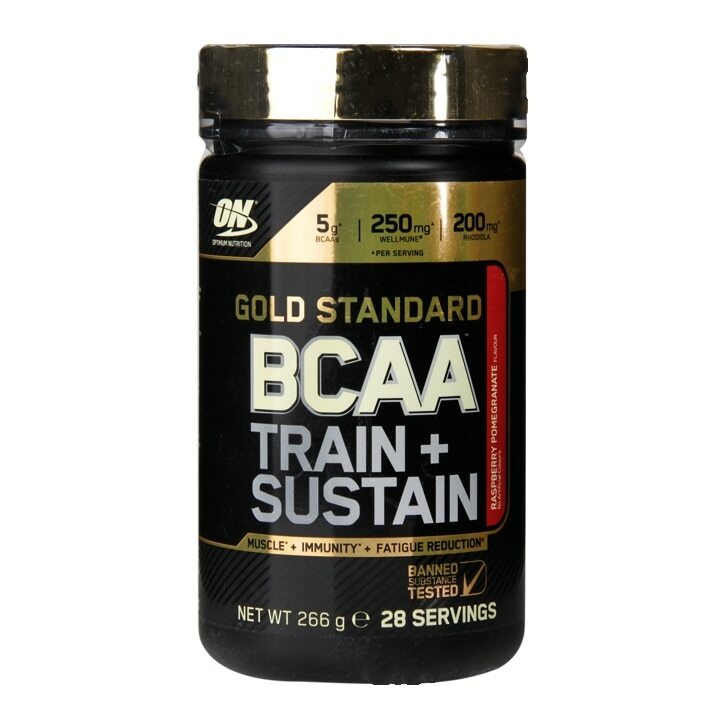 In the gym, during a workout, Gold Standard BCAA can help during intense training while supporting the immune system and reducing fatigue, so athletes can hit their next workout. Mix 2 rounded scoops (9.5 g) with 350 ml of cold water. BCAA Blend (L-Leucine, L-Isoleucine, L-Valine, Emulsifier: Soy Lecithin), Acids (Citric Acid, Malic Acid, Tartaric Acid), Flavouring, Yeast (Saccharomyces cerevisiae) Beta-Glucans (Wellmune), Rhodiola rosea Root Extract, Anti-Caking Agents (Silicon Dioxide, Calcium Silicate), Sodium Chloride, Potassium Chloride, Colour (Beetroot Red), Magnesium Oxide, Sweetener (Sucralose), L-Ascorbic Acid.